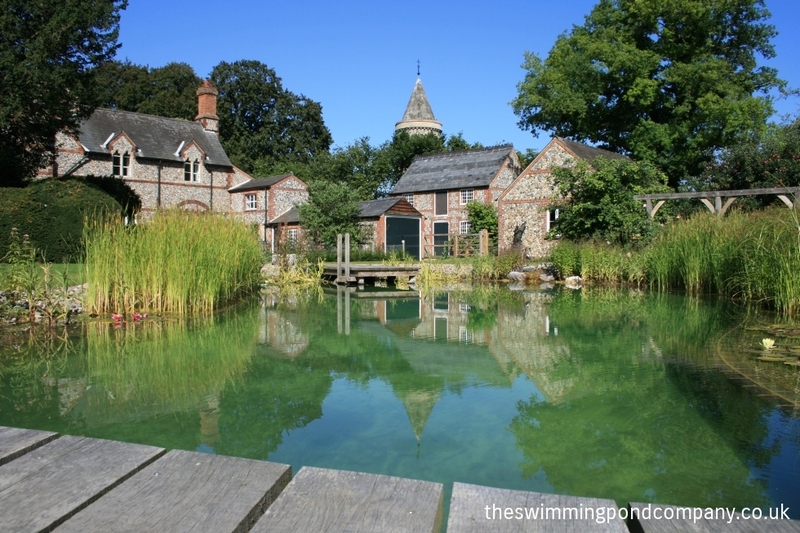 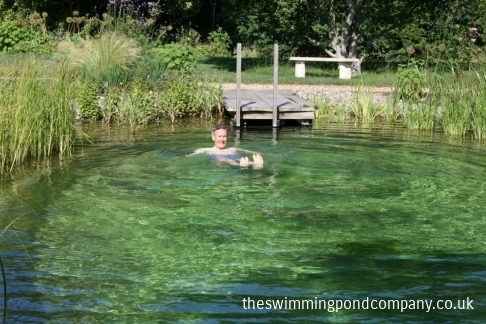 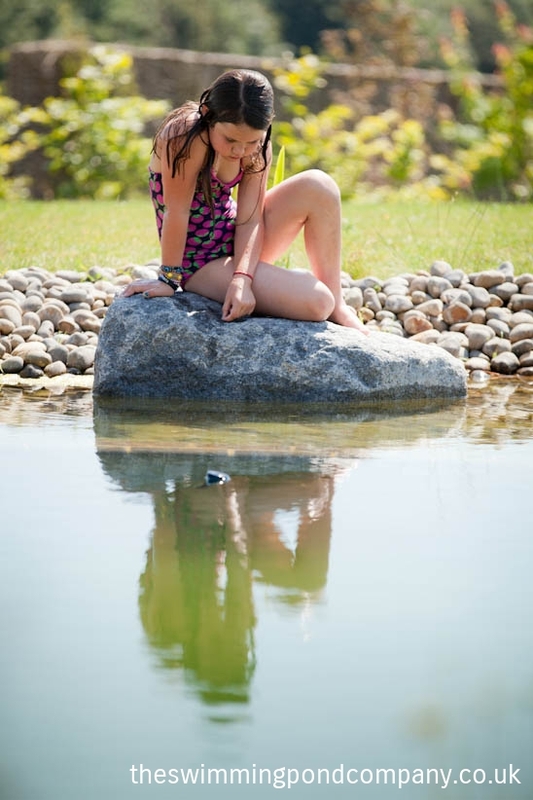 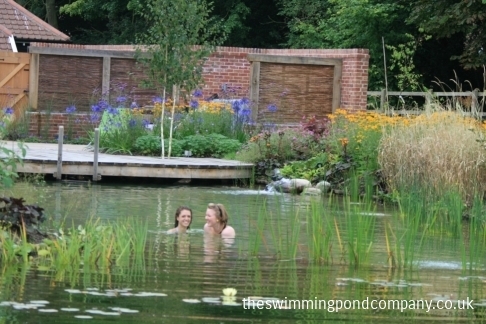 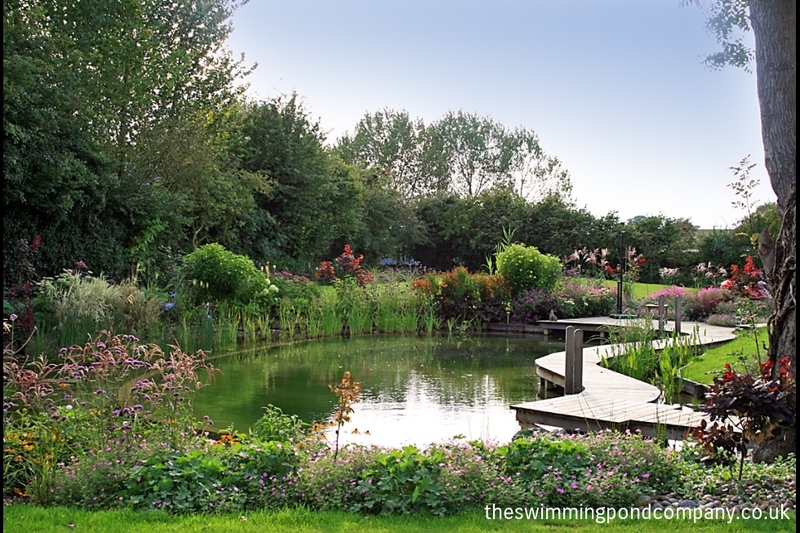 The Swimming Pond Company Ltd.
We hope you find the content of this website both compelling and inspiring, as we attempt to convey why we feel so passionate about Swimming Ponds. 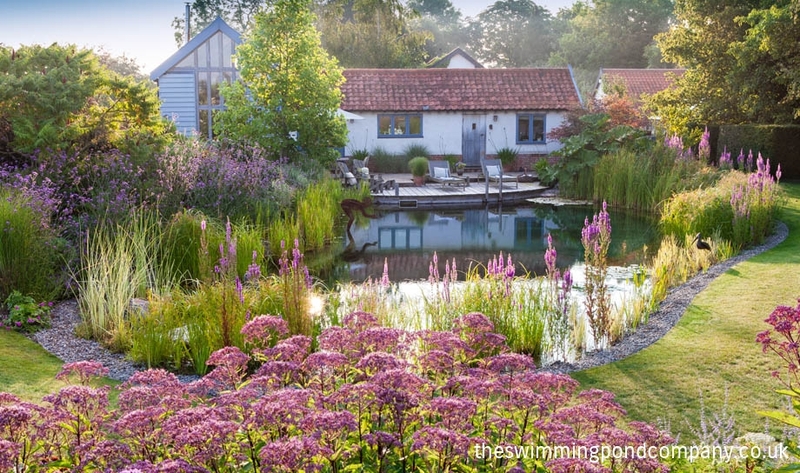 “It really is one of the best decisions we have ever made. 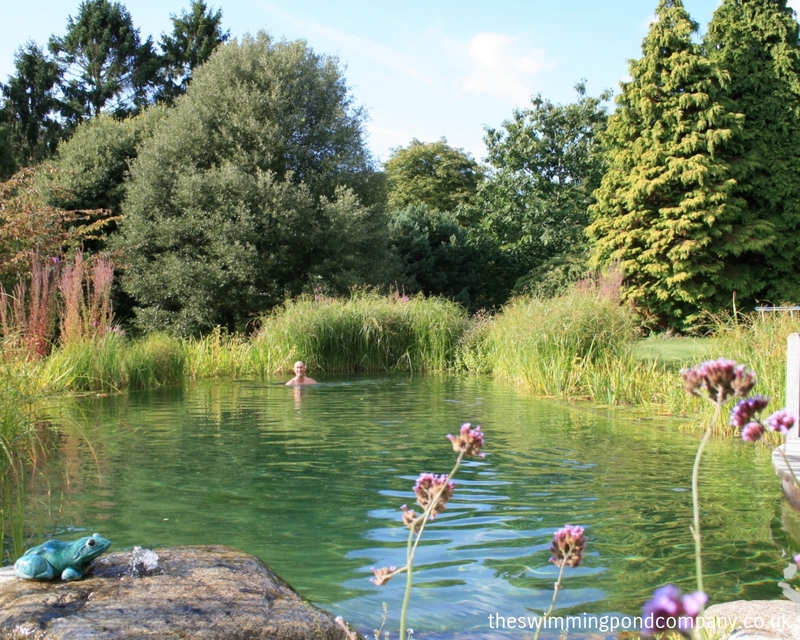 Crystal clear water with no chemicals, beautiful plants all around as you swim, easy to keep looking good and wonderful to look at whatever the season and whatever the weather. A swimming pond not only gives us the opportunity to swim in fresh, clear water without a trace of chemicals, but also attracts and sustains a wide array of wildlife, drastically increasing the biodiversity of our garden. 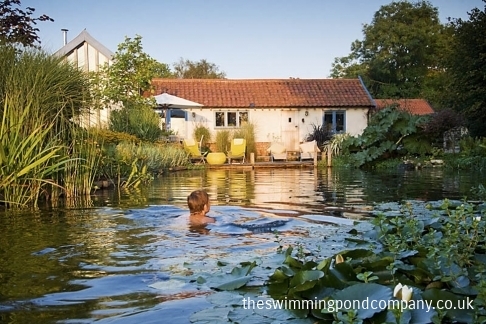 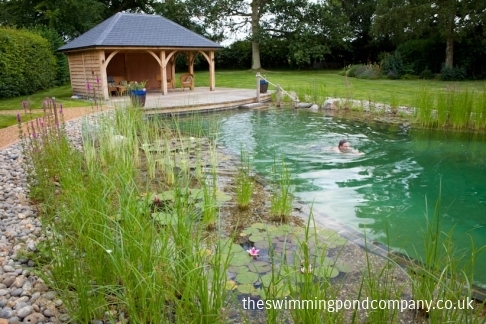 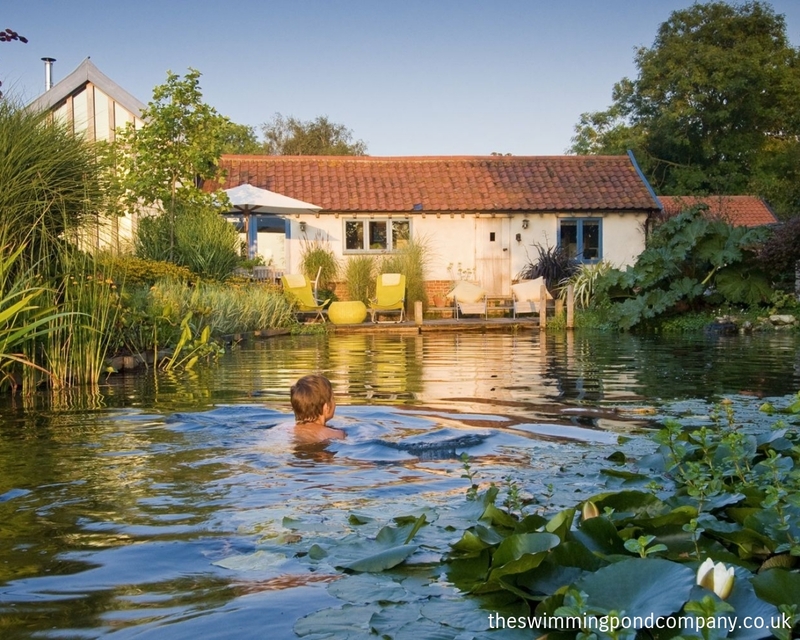 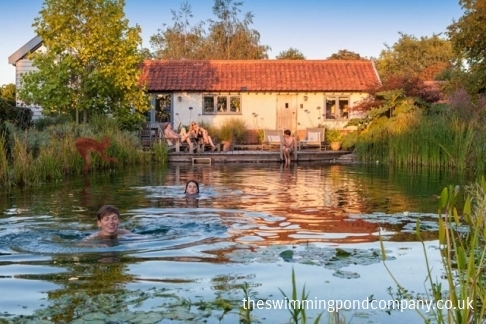 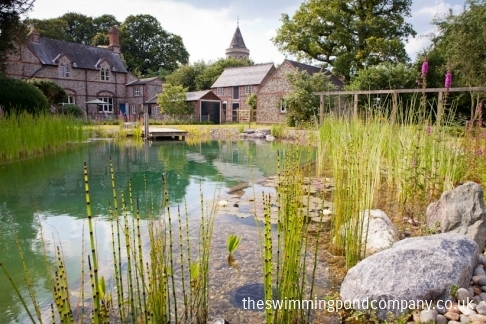 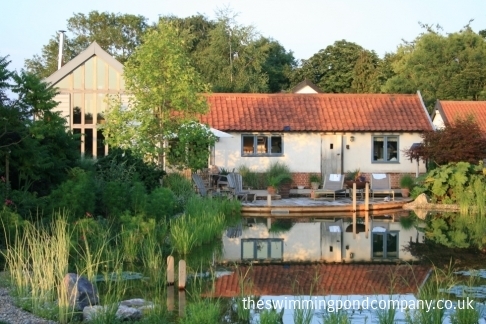 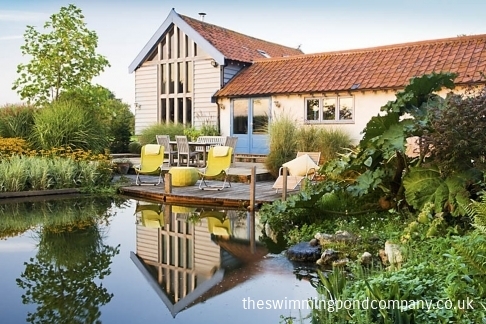 The Swimming Pond Company Ltd specialize in designing and building Swimming Ponds, often referred to as Natural Swimming Pools or Natural Pools, throughout Norfolk, Suffolk, Essex, Cambridgeshire, Bedfordshire, Northamptonshire and Hertfordshire. 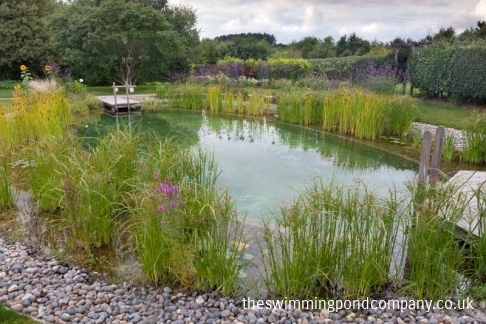 For a successful project, it is essential that a swimming pond integrates effectively within the garden and links to the home in a harmonious manner. 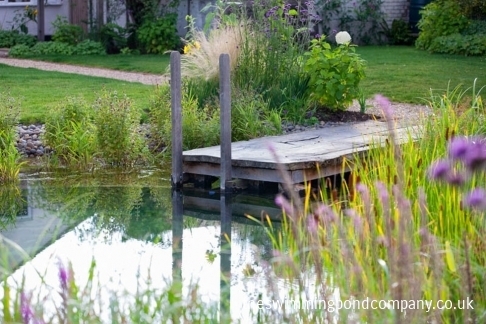 As landscape and garden designers, we have the necessary skills to achieve this with well thought out and innovative design. 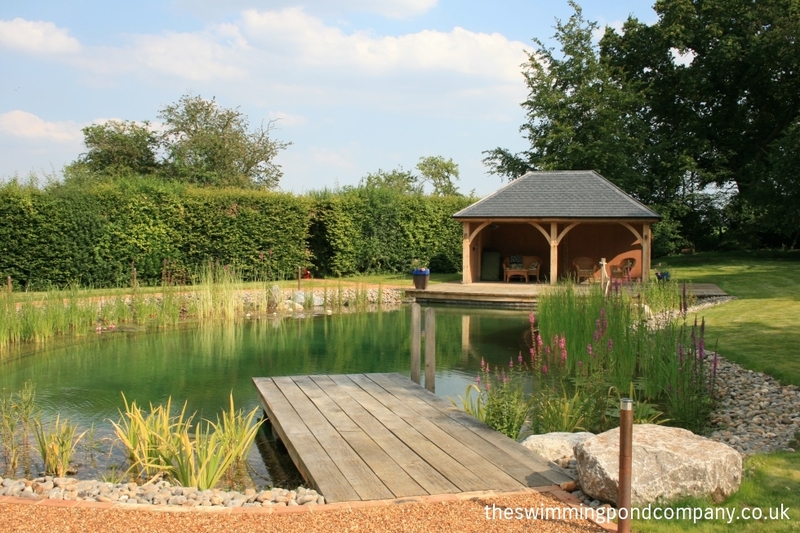 The Swimming Pond Company also designs and builds other garden elements, which include traditional and contemporary garden design, courtyard gardens, kitchen gardens and creative outdoor lighting. 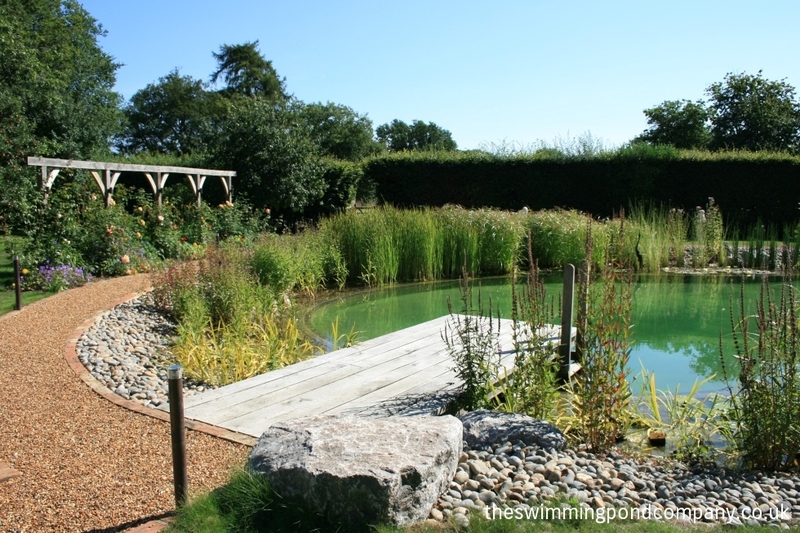 If you are considering a swimming pond, then we invite you to come and look at our new show swimming pond, which is in the heart of our garden here in South Norfolk. 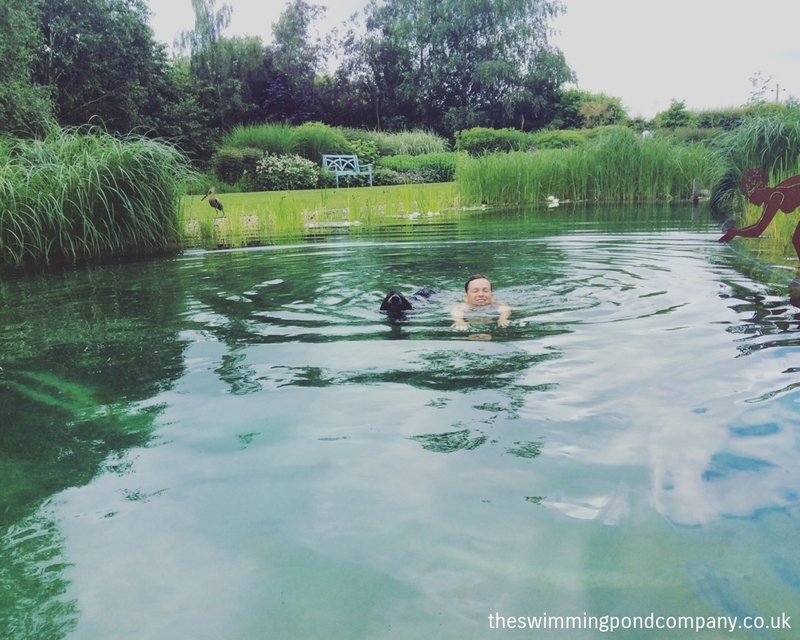 Not only will you have the opportunity to experience the immense pleasure of swimming in a natural environment, but you will also see and understand how it all works. 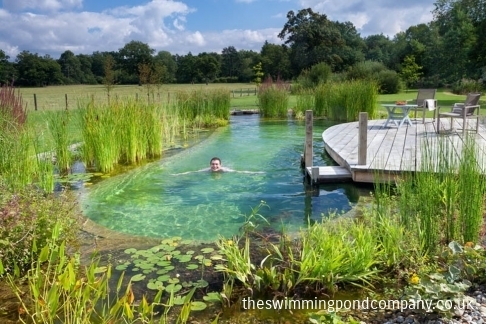 Why not dip your toe in the water, contact us to make an appointment. 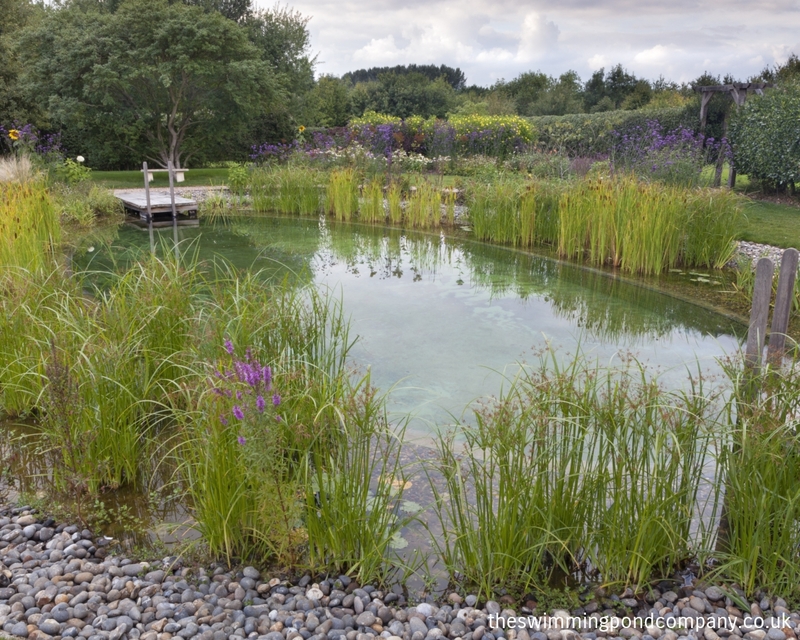 Alternatively, come along to one of our Open Days on one of the following dates. 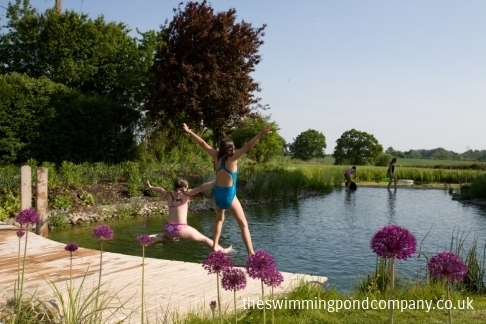 Please give us a quick call to let us know that you are coming! 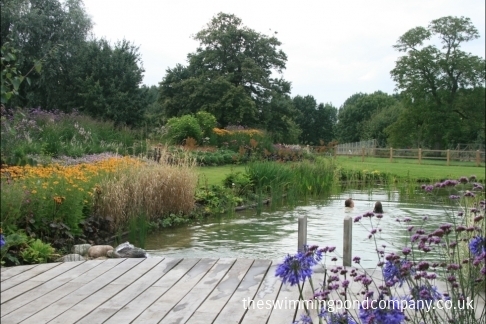 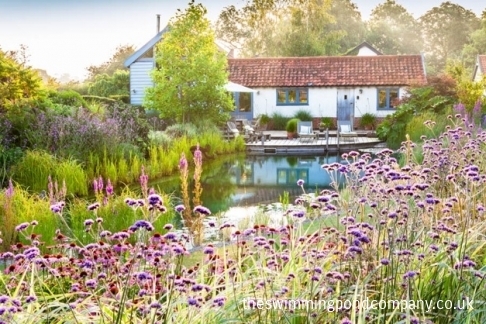 "It's so beautiful - lots of newts, dragonflies, birds and black irises. 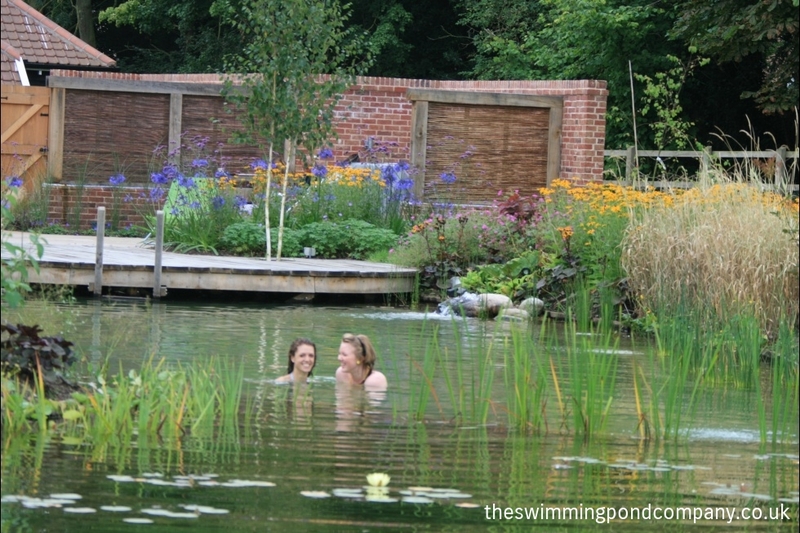 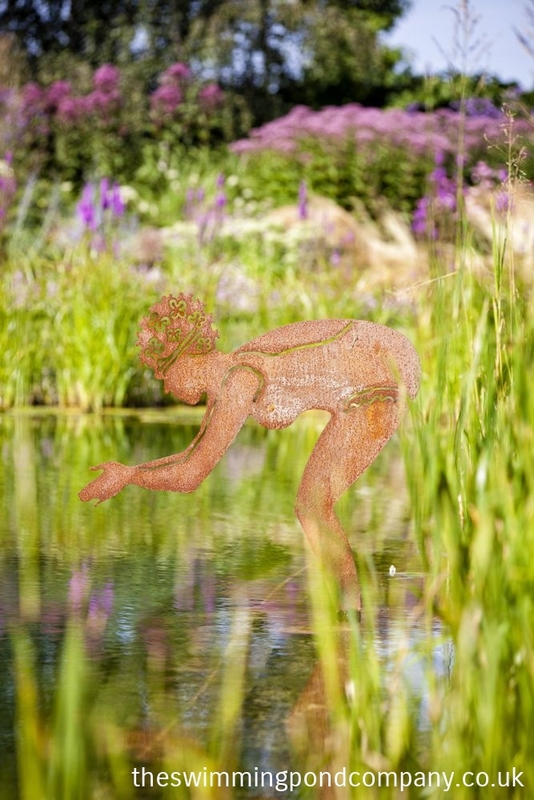 "The swimming pond looks fantastic in the garden – a beautiful feature admired by all who see it." 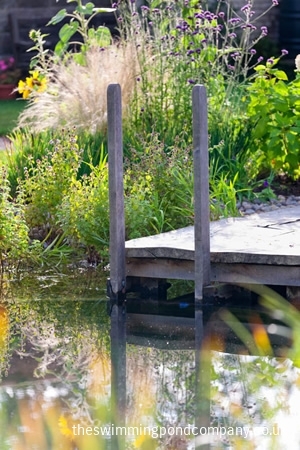 "Michael was thrilled to see a kingfisher perched on the jetty yesterday morning, clearly hoping for fish!"